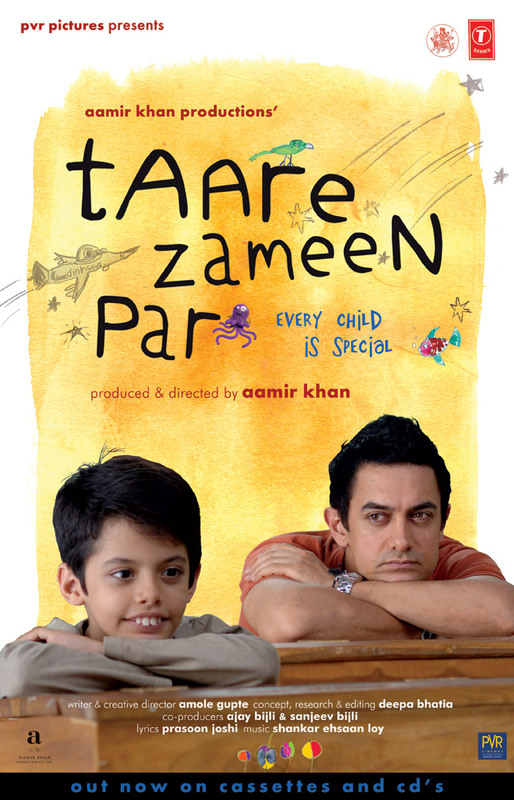 Today I got the opportunity to watch Taare Zameen Par. It was very nice as I laughed and cried a lot during the movie. Planned to watch once more with family. Well I am not going to write another review. If I ll do the same and you like to read me, then you will definitely waiste your time! I want to express my feelings and discuss some more issues. First start with teacher. Yes, teacher. Teachers are the craftmen/craftwomen who build us. To build a good nation, we need good teachers first. They can know what is the special in our child and they will polish it, as Nikumbh did inTZP. Before that, parents should know what is the special in their child. From the birth, they are the most closest friend of the child. They have to identify it and take proper step to make their child dazzle. As Nikumbh said in TZP, we want toppers in every house. So we give pressure to our child to mold them in our way. This kills the talent in our child. I can recall one statement of Prof. Jateendra Nath Mohanty (Former Pricipal, JKBK Govt. College, Cuttack), who said once, “Parents want to make their child as they use to dream and could not be as that”. So we need to know the stars on the earth and polish them to dazzle as diamond. This movie reminded me something, that I should do. I love childrens. Then why should not spend some time with them in weekends? I should search for a paly school. If I any one can help me on this, then I will be thankful. Now at last, a poster from Taare Zameen Par.